Dark Spots are patches of skin where melanin, found naturally in skin to protect it, has settled. Ultra-violet, or UV rays are can be very damaging to skin without proper protection. Melanin, found naturally in the skin, plays a "built-in" protective role, however, when skin is exposed to an excessive amount of UV rays, the body creates an enormous amount of melanin. This is what causes skin to "tan", which is considered a fashionable look, but is still damaging to skin. In some cases, if the natural melanin turnover process does not process smoothly, this is when melanin remains inside the skin or appears darker in some areas, causing uneveness and spots. Some other causes of excessive melanin creation can be stress-induced and or by using harsh cleaning or scrubbing methods on skin. They say "the best offense is a good defense". 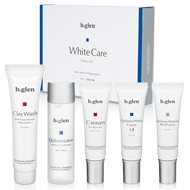 When skin is dry and damaged or neglected, it shows, resulting in uneven tone, dullness, spots and dry patches. Helping the natural turnover process, or "offense" is key. Turnover removes dirt, excess sebum, dry patches - all which can dull the complexion. Another part of this process is using targeted skincare. This is your defense. Our Brightening Care is formulated with Vitamin C and combination of antioxidants, as well as a proprietary blend of QuSomes (TM) which encapsulate key ingredients. This stablizes them, making the formula stronger and more effective, yet gentle on skin. 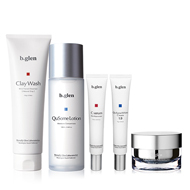 Using these products as part of your daily skin regimen will help diminish the appearance of dark spots and uneven tone. Skin is protected from excess sun exposure and will appear brighter and healthy-looking. 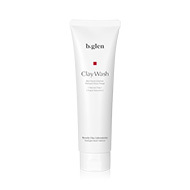 Removes dirt and other impurities while leaving skin looking and feeling nourished. Concentrated serum that helps increase cell turnover and strengthen the skin, leaving skin feeling tightened as it promotes a healthy glow. Works with your skin to help naturally rid it of dullness and uneven tone caused by dark spots and imperfections. 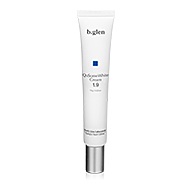 Provides essential and Broad Spectrum SPF, to keep skin protected and healthy-looking. For radiant-looking skin, protected against the harsh effects of UV rays, just follow these daily AM and PM regimens. Adds necessary moisture to skin, keeping it feeling soft and supple and prepares it for other treatment products. Concentrated rejuvenating essence, formulated with Vitamin C. Helps seal in moisture and rid skin of any excess sebum, boosting skin's radiance. Use sparingly, avoiding eye area. 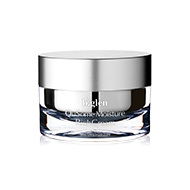 Luxurious cream to provide skin support and protection by returning moisture and suppleness.